For your fundraising goal, the choice is yours. We recommend at least $1,000. For each person who creates a fundraiser on November 28, Facebook will match the funds raised (up to $1,000)! 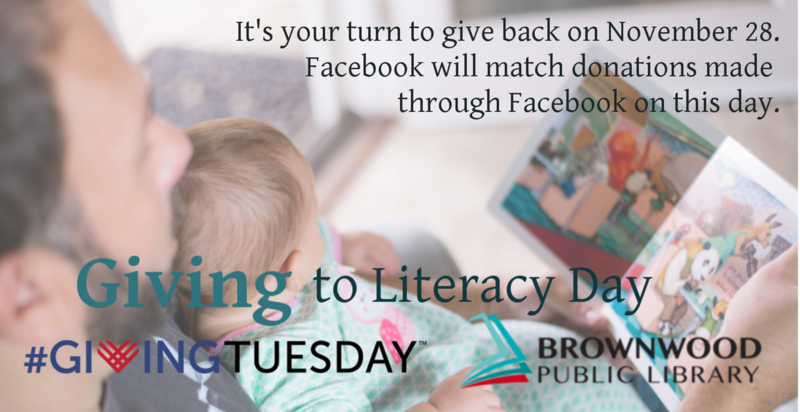 Facebook will match any non-profit up to $50,000 on this day, but we need different fundraising campaigns to maximize this goal! 3. For the description, share your story! What are you passionate about? Why is the library important to our community? How has the library effected you or your loved ones? 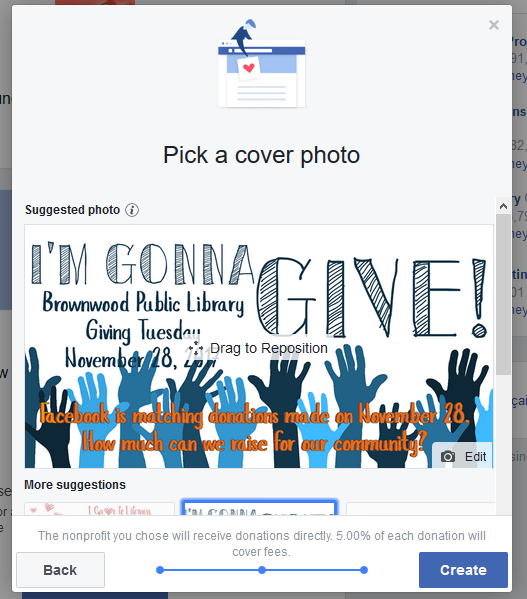 How do you see the Brownwood Library in the Brown County's future? 4. Pick a cover photo. Use one of your own or use one of the ones we've provided (below). 6. 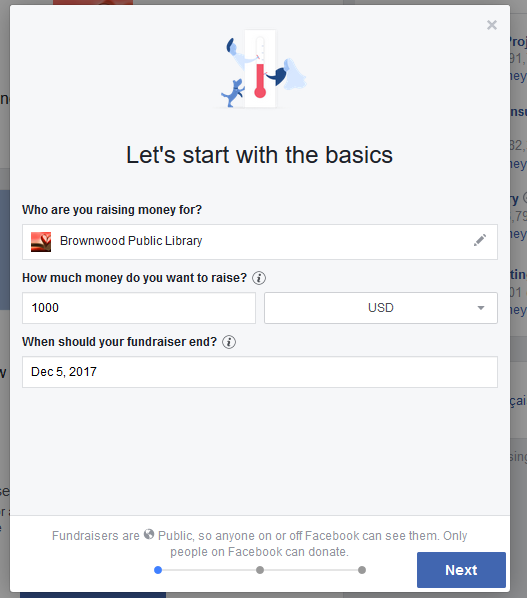 Let the library know about your fundraising page! 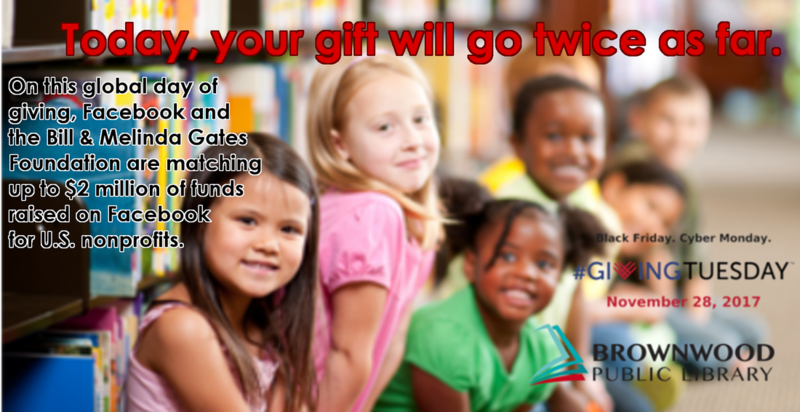 To maximize donation matching on Giving Tuesday, we may send donors to your page. 7. Let your friends know! A single ask can go a long way. It’s easy to create a fundraiser, share it with friends and reach your goal. Your support can make a difference for our community. Thank you!